UEM was formed in June of 2006. The current line up of Harrington/Sykora continues to explore experimental music/noise using instruments, electronics, found objects, the human voice, gongs and miscellaneous percussion. William C. Harrington was born in Yonkers, New York. While he was a sophomore in high school, he was working as a professional musician playing parties, roller-skating rinks dances, and more. At Cal State U Dominguez Hills, he studied composition, performance, and electronic music with Richard B. Evans, author of the classic book on John Cage, "The Well Prepared Piano". He was also influenced by seminars with several composers including Nicholas Slominsky. After leaving college he worked in the wholesale record industry for two years before going on tour. 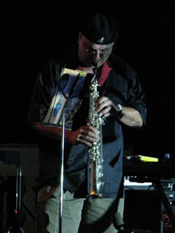 He worked as a keyboard technician for several bands, including Gentle Giant, before beginning a three year working relationship with Frank Zappa. (This included three America tours, two European tours, spending several months in the studio working on the album "Baby Snakes" and making a brief, credited appearance in Zappa's movie, "Baby Snakes"). He was with Zappa in Paris when Pierre Boulez first visited. Upon returning to LA, he attended the UCLA Extention Music Business course where he was awarded two NARAS scholarships. He studied record production with Nick Venet (producer of The Beach Boys, Creedence Clearwater and many others). His first two CDs, Urban Electronic Music, and UEM Live have received good reviews and airplay on NPR, college and indie radio stations. 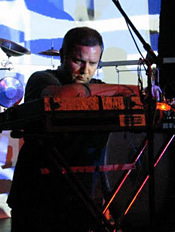 In 2006 The American Composers Forum awarded him a SUBITO grant to help defer the cost of his third studio CD, Nuclear Menace which is currently getting airplay and was reviewed in the fall/2007 issue of Signal to Noise Magazine. His fourth CD, noise noise - was released in 2008. Noisician Andy Sýkora (b. 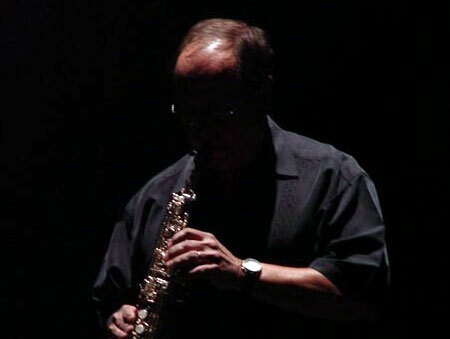 Los Angeles, 1967) has performed and recorded percussive and electronic sound with musician/playwright Stew, Mona-Jean Cedar's deaf dance troup Pas d'ASL, free improvisation masters Marc Levinthal, Rick Potts, Albert Ortega, Jim McCalley, and countless others. He promgramed 'Strange Place for An Ear' a weekly musique concrète radio show, hosted a monthly non-electronic new music series at Holly Matter Gallery, performed on piezo mic'd/delayed bicycle at festivals and as a guerilla performer at bike events and art happenings. As a member of Choking Hazard he designed a untitled sound installation for the Arroyo Arts Collective event 'River Alchamy' and with longtime collaborator Marc Doten (as Enrich'd White) presented the performance installation 'Imagined Dialog with Birds & Insects' for the Newtown Arts outdoor sound art event 'Sonitrek'. 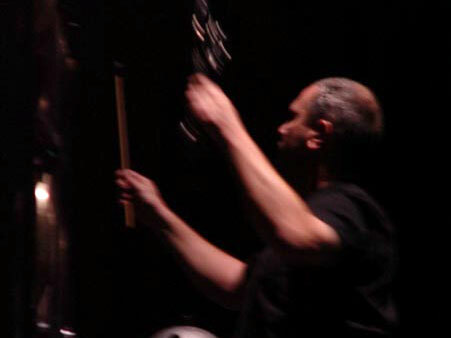 In 2006 he began to record and perform with William Harrington as UEM improvising on gongs, percussion, voice, delay units and various electronics. He wanted in to the art and music academia but was too busy learning and living.